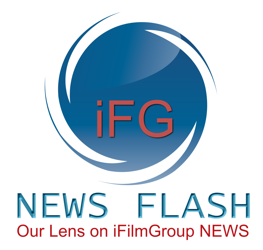 The team had a great meeting with them and outlined where the mission and vision of iFilmGroup is headed. Following that, the team got down to production and was helped out by some of the new participants. A couple actors from the auditions in January were there to film some of their first scenes and footage with the team. One of those individuals was Maysee Mclean. 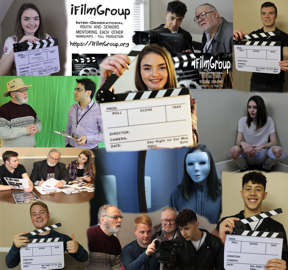 She along with Rylan Rand filmed some footage for the iFilmGroup promo video that is in the works. As well the pair did a scene for the dramatic footage of "Struggles Within". Then McLean filmed some more dramatic footage with the team for "Struggles Within" as well as doing some still work for shots for promotion and props for "Blue Love". Matthew Marshall and Don Hickey were impressed with the performance of McLean. But her talent does not surprise them. “She blew us away in Auditions. She is here because of her talent” says Marshall who is the driving creative force behind a couple of the projects they were filming for. As for Maysee, she enjoyed her first film shoot. “Had such a great time filming on Saturday. It was such a cool experience. I can't wait to be a part of some other awesome projects” says McLean. She will have a supporting role in "Blue Love" playing a role called "Piper". More is on the horizon for Miss McLean as both Hickey and Marshall have some more ideas for the teenager for the near future. Over all, the team felt that the day was a huge success with the new additions to the group. But they are quick to add they are always open to more new faces.